After the death of his father, Peter I, on 16 August 1921. Alexander I came to the throne as the King of Serbs, Croats and Slovenes. 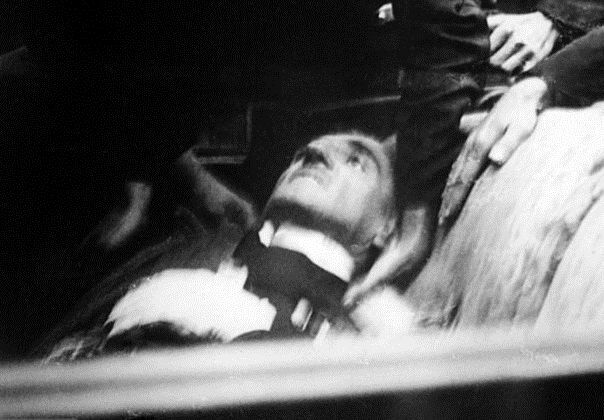 On 8 August 1928 the Serb leader Stjepan Radic died after being shot in the stomach in an assassination attempt in parliament. As a result, Alexander changed the name of the country to the Kingdom of Yugoslavia and on 6 January 1929 prorogued parliament and established himself as a dictator. In October he tried to ban the use of the Cyrillic alphabet and force his people to use the roman letters. Two years later, he proclaimed a new constitution but few of the terms were ever put into effect. The Croats, especially, were unhappy with the proposals and with Alexander’s reign and began plotting to assassinate him, aided secretly by Italy’s Benito Mussolini. Because three of his relatives had died on a Tuesday, Alexander was superstitious about any public meeting on that day. Nevertheless, in 1934 he travelled to France abroad the cruiser Dubrovnik to try and forge an alliance with the country. On 9 October, a Tuesday, he was travelling through Marseilles with the aged French Foreign Minister Louis Barthou, General Alfonse Georges and Admiral Berthelot when Vlada Chernozamsky jumped out of the crowd onto the running board of the car and shot at the occupants. Alexander was hit twice and expired almost immediately. Then Chernozamsky turned his attentions to Barthou and shot him. He died an hour later, despite blood transfusions (in 1974 it was revealed that Barthou had, in fact, been killed by an overzealous policeman and not Chernozamsky). General Georges suffered only superficial injuries. A police sabre cut down Chernozamsky before he was attacked by the crowd and he was shot in the head by a policeman, dying a few minutes later, ten days before his 37th birthday. Alexander was buried in the Memorial Church of St George, which had been built by his father. His cousin Pavel succeeded him because Alexander’s son, Peter II, was just 11 years old. Peter, who died in 1970 of cirrhosis of the liver, was the third and last king of Yugoslavia.